Gardina’s. Cask beer. Tonight. 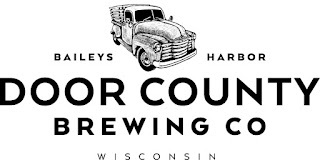 6 p.m.
Tonight, (Tuesday, July 21) at 6 p.m. a cask of Door County Brewing Co. Silurian Stout will be cracked into. This is DCBC’s milk stout and this particular cask is conditioning at this very moment on a bed of cocoa nibs, toasted coconut, and vanilla bean. Danny McMahon, brewmaster at DCBC, will be on hand to talk about the beer and whatever else you care to quiz him about (you might want to ask him about brewing farmhouse ales, it seems to be turning into his thing). In addition to the cask, there will also be a mini-tap takeover with three other DCBC beers on tap: Biere de Siegle Rye Farmhouse Ale, Little Sister Witbier, and Big Sister Witbier with Hibiscus. Gardina’s will offer a flight of all four DCBC beers for $8. Meanwhile, the chefs at Gardina’s will prepare their nightly dinner specials to pair with the four beers. You could make an evening of it. Vol. 01: August 20, 2013. O’so Hopdinger Pale Ale infused with lemon, grapefruit, sweet orange, and tangerine peels. Vol. 02: September 17, 2013. O’so Sweet Lady Stout infused with vanilla beans and cocoa nibs. Vol. 03: October 15, 2013. Destihl Brewing Co.’s Sour Hawaii Five-Ale. Vol. 04: November 19, 2013. Tall Grass Brewing Co.’s 8-Bit Pale Ale with Blackberries, Orange Peel. Dry-hopped with Centennial Hops. Vol. 05: December 17, 2013. Goose Island’s Bourbon County Brand Coffee Stout. Vol. 06: January 28, 2014. Tallgrass Brewing Buffalo Sweat Oatmeal Cream Stout with blueberries, chocolate, cinnamon sticks and brown sugar. (This date was actually cancelled due to weather. It was later combined with Vol. 07 of the series). Vol. 07: February 18, 2004. Dogfish Head World Wide Stout. Vol. 08: March 18, 2014. Hinterland’s Saison infused with raspberries. Vol. 09: April 15, 2014. Central Waters Illumination Double IPA with coconut and pineapple juice. Vol. 10: May 20, 2014. O’so El Dorado SMASH IPA. Vol. 11: June 17, 2014. Rush River Bubblejack IPA with Citra Hops. Vol. 12: September 16, 2014. 3 Sheeps Really Cool Waterslides IPA. Vol 13: October 21, 2014. Central Waters Honey Blond Ale with lavender. Vol 14: November 18, 2014. Lakefront Brewery Fuel Cafe Stout with raw coconut and lactose. Vol 15: December 16, 2014. Tallgrass Brewing Buffalo Sweat Oatmeal Cream Stout with blueberries, chocolate, cinnamon sticks and brown sugar. Vol 16: January 20, 2015. Hinterland Vienna Lager with fresh raspberries. Vol 17: February 17, 2015. Fox River Brewing Company 20th Anniversary Ale. Vol 18: April 19, 2015. Wisconsin Brewing Company Blister In the Sun with Amarillo and Nelson Sauvin hops and spiced with orange peel and coriander. Vol 19: May 19, 2015. Lakefront Cherry Lager with Door County cherries. Vol 20: July 21, 2015. 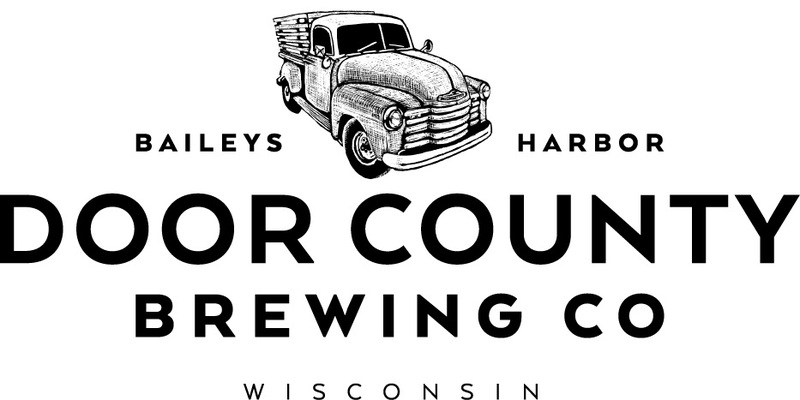 Door County Brewing Co. Silurian Stout with cocoa nibs, toasted coconut, and vanilla bean. You probably already knew that.